April 21, 2010  The Palestinian Authority says it will hold municipal elections in July without the participation of the Gaza Strip, which is controlled by Hamas. So far, the militant group has blocked election preparations in Gaza and said it would not participate in the West Bank polls. April 15, 2010  The neighborhood of Kufr Aqab is technically part of Jerusalem, but it lies on the Palestinian side of the West Bank barrier. Residents say it has become a "ghetto" for Palestinian couples who are limited in where they can live because one partner is from Jerusalem and the other from the West Bank. April 9, 2010  Israeli Prime Minister Benjamin Netanyahu has decided not to attend next week's nuclear summit in Washington. Israeli officials say Arab and other Muslim nations are likely to raise Israel's undeclared nuclear arsenal at the conference. But that’s not his only reason for staying away from D.C.
April 8, 2010  Israel has allowed a shipment of clothes and other goods into the Gaza Strip. Since Hamas militants crossed the border and seized an Israeli soldier three years ago, Israel has restricted what goes in and out of Gaza, forcing residents to rely on tunnels under the Egyptian border for basic supplies. April 7, 2010  According to Jewish law, a man has to agree to grant his wife a divorce of his own free will before the legal separation can proceed. "If he's incapacitated, if he's abusive, if he committed adultery, it really doesn't matter," says Susan Weiss, who runs the Center for Women's Justice. "If he doesn't say yes, you're stuck." April 7, 2010  In Israel, the fur is flying — over fur. International animal rights activists are campaigning to make Israel the first country in the world to ban the sale of fur. 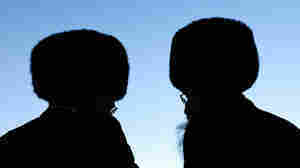 But the ultra-Orthodox Jewish community sees the measure as an affront to its religious identity. March 26, 2010  Israeli Prime Minister Benjamin Netanyahu convened a special meeting of his inner Cabinet on Friday to discuss his contentious visit to Washington this week. The U.S. has given him a list of demands, which he must decide whether to accept. March 23, 2010  Israel says it will continue construction work in Jerusalem, but Palestinians say they won't enter into proximity talks without a full settlement freeze in the West Bank and East Jerusalem. The Palestinians maintain that past talks have only given Israel a cover for settlement expansion. March 19, 2010  Israeli Prime Minister Benjamin Netanyahu has offered some new confidence-building measures to the Palestinians in hopes of spurring the resumption of peace talks and ending a diplomatic flap with the U.S. Israeli media reports say it includes the release of some Palestinian prisoners and the removal of some checkpoints in the occupied West Bank. March 18, 2010  President Obama has weighed in on the crisis in U.S. relations with Israel, reaffirming what he called the special bond with the Jewish state, despite the disagreement over Israeli plans to build new Jewish housing in East Jerusalem. The president was interviewed on Fox News Channel. March 17, 2010  Residents of the Jewish community of Ramat Shlomo, located in East Jerusalem, say they are unfazed by the international furor surrounding the announcement that 1,600 homes will be built there. But Palestinians say Israel is trying to push the Arab population out of the area. March 15, 2010  Israeli Prime Minister Benjamin Netanyahu is confronting growing political problems following last week's announcement that more Israeli settlements would be built in East Jerusalem. The announcement was made while Vice President Joe Biden was in the Middle East promoting peace talks. March 10, 2010  Vice President Joe Biden met with Palestinian leaders in Ramallah as the U.S. prepares to mediate talks between the Palestinians and Israel. Biden and the Palestinians condemned a newly announced Israeli plan to build more housing in East Jerusalem. March 9, 2010  "A moment of opportunity," that's what Vice President Joe Biden is calling the announcement that Israelis and Palestinians will be engaging in indirect negotiations brokered by the United States. Biden is on a visit to Israel and the Palestinian territories. He is the highest ranking member of the Obama Administration so far to make that trip. 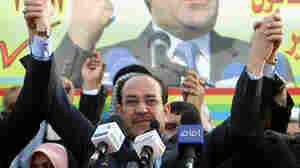 February 23, 2010  After last year's provincial elections, Iraqi Prime Minister Nouri al-Maliki was the big winner, and his State of Law coalition looked unbeatable. But in the Shiite heartland of southern Iraq, support for Maliki is waning as the March 7 vote approaches.